Over a year after its initial release and a couple of substantial price cuts later the Huawei Ascend Mate7 is still a pretty tantalizing offer. It just seems that Huawei though well ahead when designing the Mate and coincidentally or not, it now offers a combination of quite a few trendy features, like a metal body, spacious 6.0-inch display and always-on fingerprint reader, all with the added bonus of a dropping price tag. Better yet, Huawei hasn't forgotten about the phablet, as evident by the new Android 5.1.1 update that just popped-up on its support website. The new OS brings an array of core Android improvements to the handset, as well as the updated EMUI 3.1. 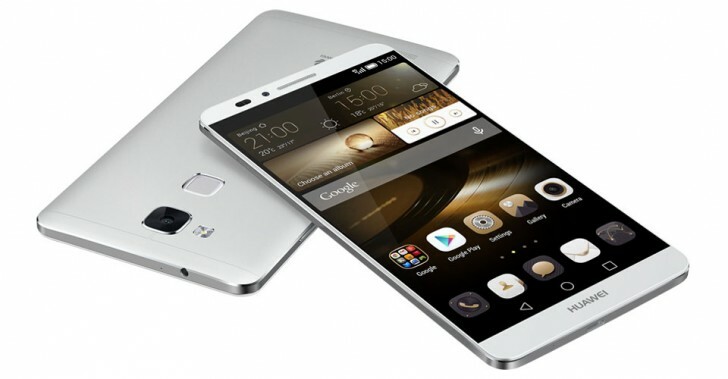 Currently the software package is available for two of the most popular variants of the Mate7 – the MT7-L09 and MT7-TL10 and can be downloaded from the source link. Both weigh about 1.20GB, so it should be a more or less complete overhaul. Over the air roll out should be under way as well, but you could just as easily use the default updater to get the job done with the downloaded ZIP yourself. And for anybody interested in purchasing the premium handset here is a quick rundown of the rest of the specs: The already mentioned 6.0-inch display has a resolution of 1080p and is powered by the company’s own octa-core Kirin 925 processor, featuring four 1.8GHz Cortex-A15 cores and four 1.3GHz Cortex-A7 cores alongside a Mali-T628 GPU. Storage options include 16GB and 32GB and memory is set at 2GB or 3GB, respectively. A 13MP/5MP camera due take care of the shooting department and a 4100 mAh battery powers the show.